The present study examined the extent to which limited English proficiency (LEP) poses a risk to health service use in Asian Americans. With data drawn from the 2015 Asian American Quality of Life Survey (N = 2594), logistic regression was used to model the odds for four outcomes (no usual place for care, no regular check-up, unmet needs for medical care, and communication problems in healthcare settings). More than 62% of the sample had LEP. In the group with LEP, the odds of not having usual place for care increased by 2.09 times, of not having regular check-up by 1.69 times, of having unmet needs for medical care by 1.89 times, and of having communication problems in healthcare settings by 4.95 times. 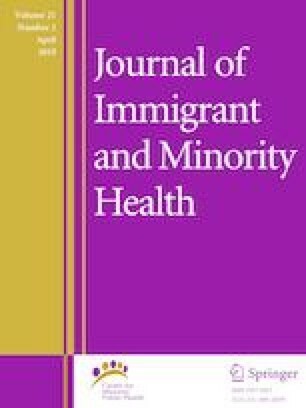 The findings highlight the vulnerabilities of Asian Americans with LEP in health service use and provide implications for health planning and interventions. This work was supported by the National Institute on Aging (R01AG047106), the City of Austin’s Asian American Quality of Life initiative (Contract No. 26-8275-39), and the Expedited Proposal Enhancement Grant from the Center for Transdisciplinary Collaborative Research in Self-management Science (P30, NR015335) at The University of Texas at Austin School of Nursing. There are no potential conflicts of interest for either of the authors.